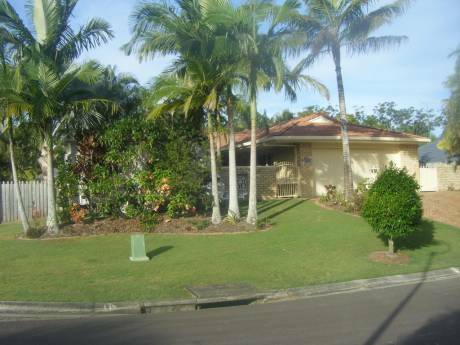 Our home is a comfortable and renovated upstairs apartment/unit in a block of 4 owner-occupied units situated right on a wide canal overlooking a lawn bowls club and a park in Mooloolaba on the Sunshine Coast in Queensland. It has 3 bedrooms (one is used as a study), 2 bathrooms and is all on the one floor. The unit has solar hot water, a lock up garage and an exclusive use boat ramp. It has a large kitchen, is tiled throughout the kitchen and living areas, and the bedrooms are carpeted. The balcony overlooking the canal is a favourite spot to sit and relax with friends over a glass of wine or coffee. 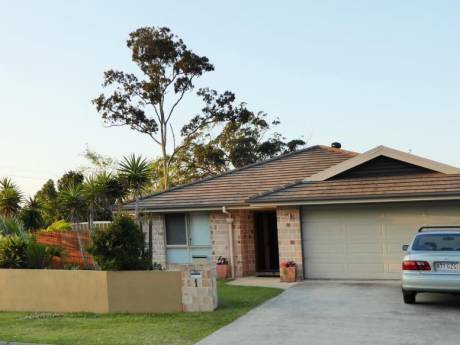 It is just a short 10 min walk to the beautiful beaches and restaurant and coffee shop strip of the popular Mooloolaba tourist area. There is a bus stop close by, but a large supermarket and business area is within easy walking distance. Sandra (53) is a special needs teacher and Neil (49) is an air conditioning refrigeration mechanic. We both have grown up children and are excited about the prospect of experiencing working overseas - to have the opportunity to travel in Europe and to see the historical sights of England. Neither of us have travelled in Europe before so it will be a great adventure. We are looking for work in the Manchester area and are planning to stay for two years. Mooloolaba is a thriving tourist area on the Sunshine Coast in Queensland. There are several beautiful surf beaches and two rivers close by for great fishing. The hinterland is only 30 mins drive away with lovely mountain scenery and quaint villages to visit such as Montville. If you want sun and warmth - go no further! The climate is fantastic, can be hot and humid in Summer but that's why we have air conditioning and go swimming! Brisbane is only a little over an hour's drive away when you want to see a show or see the sights of the city.